Unfortunately, during the test run, some sporadic failures of the power supply, with overcurrent indication flashing. Then, permanent failure of the -15 V rail – as it turns out, by a short in the assemblies we had just fixed! An again, a discolored tantalum capacitor. Replaced it, and a few hours later, the same issue, with another capacitor of the same kind. 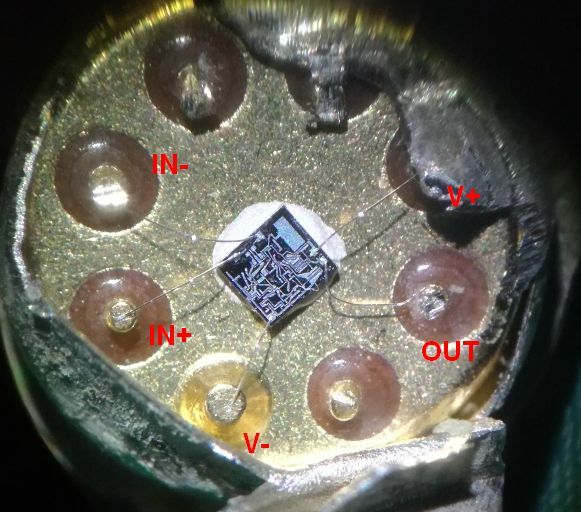 My mistake, I had use a bag of cheap China-sourced 15 uF, 25 Volts dipped tantalums, but these seem to be no good (unlike other Chinese electronics good that have attained good quality in recent years, provided you don’t by the cheapest kind). 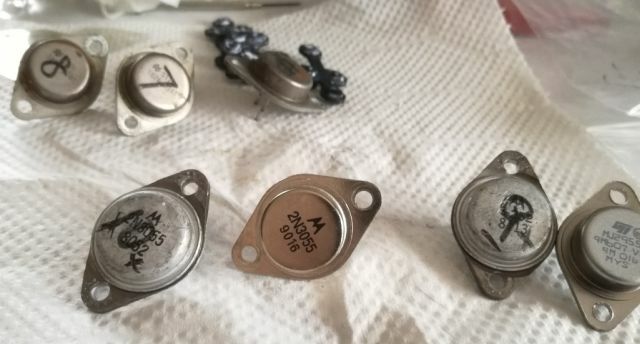 Maybe it was my mistake to buy the cheapest tantalum capacitors, but not much choice if you need 34 pieces to fix some old equipment – I don’t want to pay EUR 1.45 each from top brand parts from Mouser or similar sources. 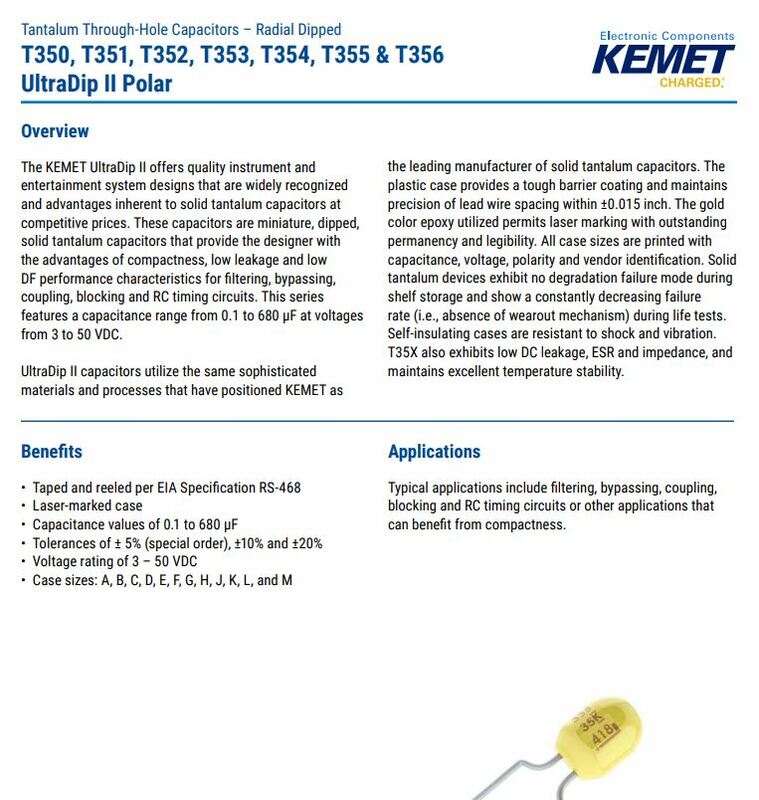 With some luck, I found reasonable prices KEMET T350 series Ultradip II capacitors, these are known to be reliable. 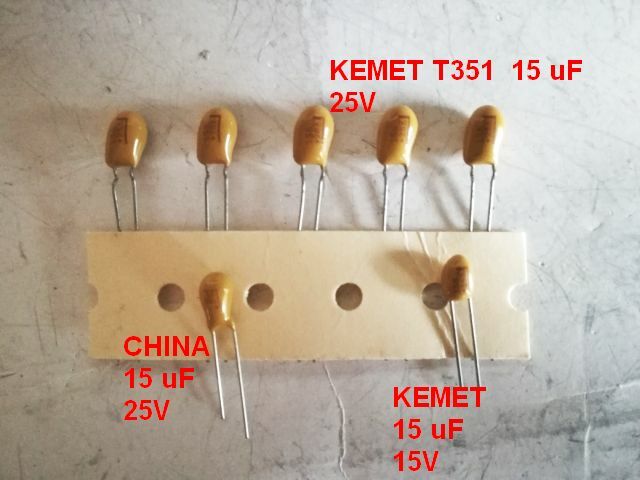 You can see the size differences – the KEMET part is much bigger than the Chinese 25 Volts part – it is more similar in size to a 15 Volts KEMET part. Probably, the design was put a bit to the limit. With the capacitors replaced and another 48 hours of run in test – no issues at all and the 3326A can be considered fixed and working for now. 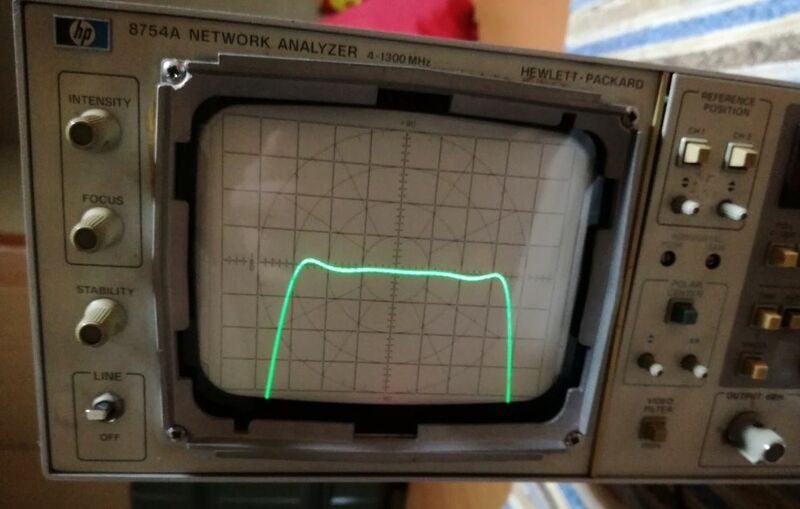 In a recent post,HP 4191A, I have introduced a 4191A with defective power supply. In the meantime, a spare power supply regulator assembly arrived, and the repairs of the originally fitted, defective supply have been completed. 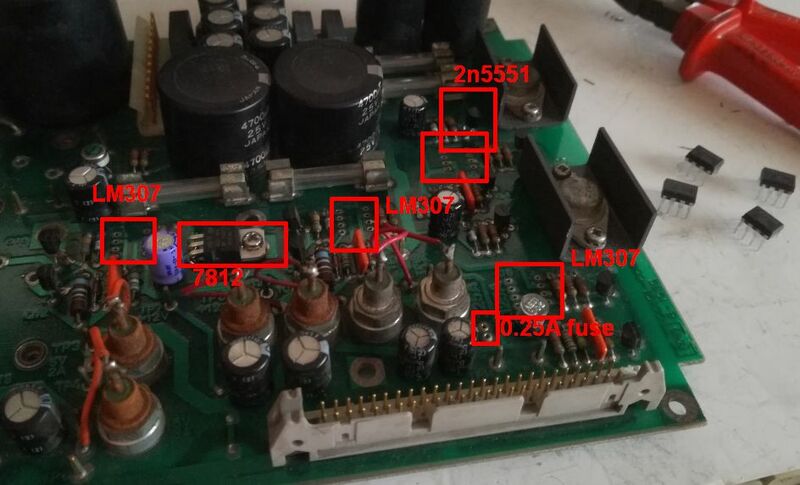 First, some research into the HP p/n 1826-0043 Opamp, which is considered to be a LM307 comparable part. But what is acutally inside the can? Let’s crack it open. 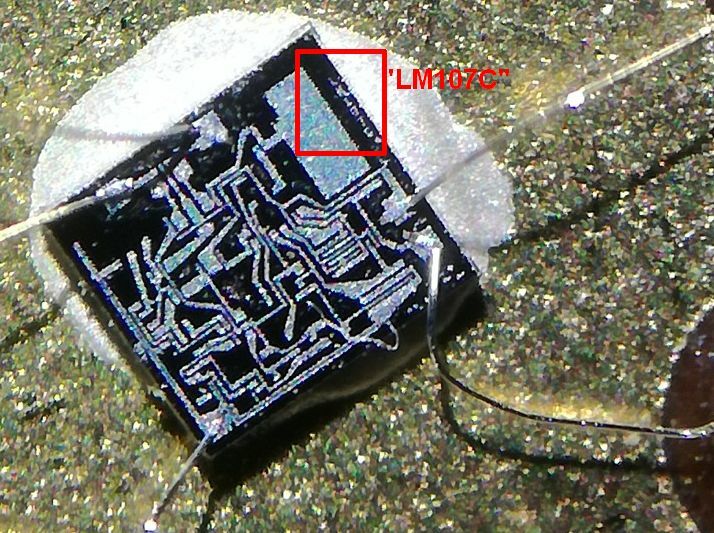 The die has a small marking, reading “LM107C”. The LM107 is very similar to the LM307, except for a wider temperature range, and somewhat extended power supply limits. 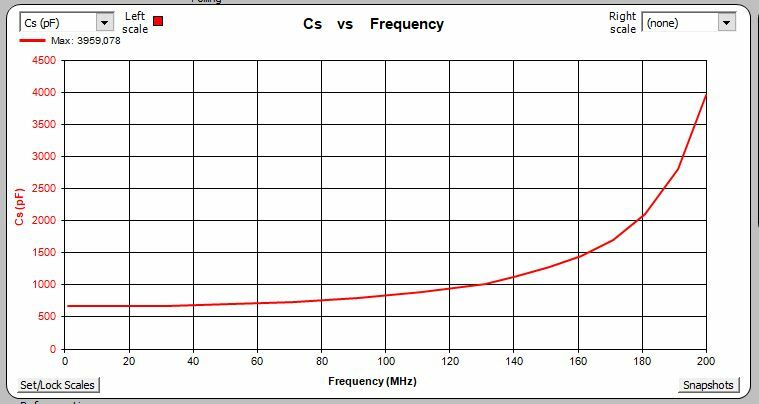 In the current application, we can safely drop in LM307N opamps. 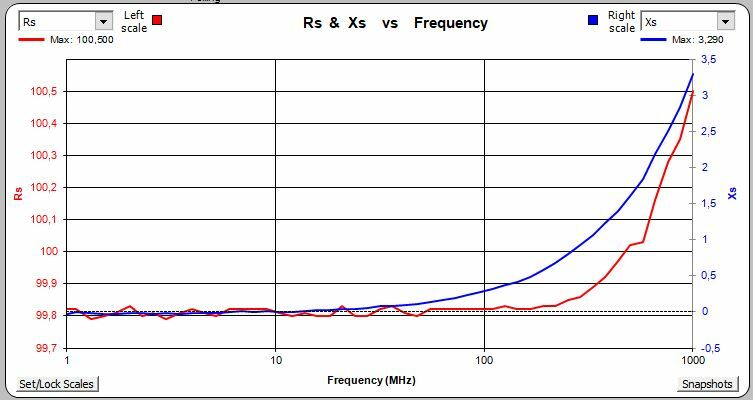 It is also clearly visible that there are no bonds for external frequency compensation (like for the LM301). 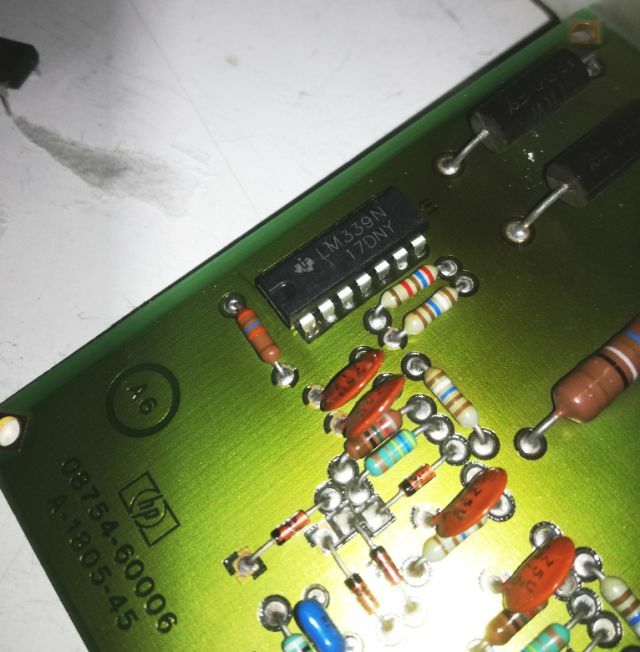 The replacement power transistors have been discussed in the earlier post, and now all has been cleaned and new heat conducting grease added. 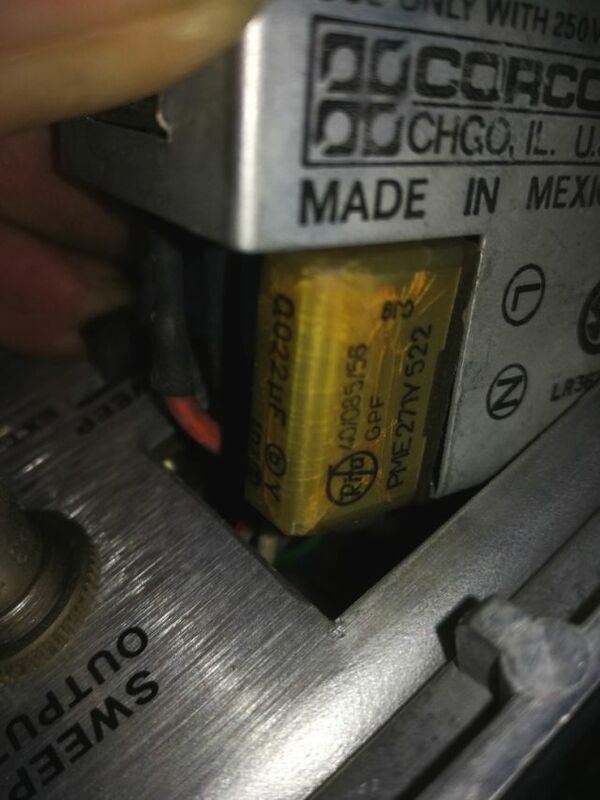 All the replaced parts marked, after all, I should have also replaced the fuses and fuse holds which show signs of corrosion and bad contact. A quick test, on the 4191A, left hand side is the working spare, the right hand side, the repaired original supply. 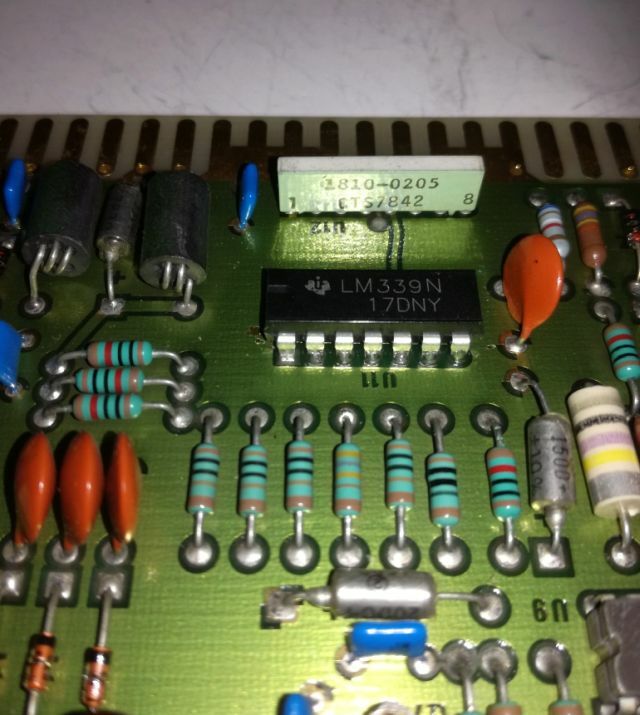 I didn’t connect it to the 4191A board, but just to the transformer to confirm the basic working condition without putting the 4191A to any dangers – the repaired supply with but just a spare, and probably it will never be needed… at least not for this unit. There were no other defects with the 4191A, and now some tests with the 4191A working instrument. It is essentially a very precise one-port vector network analyzer, with a thermostated reflection bridge and some other features that make it suitable for component measurements. 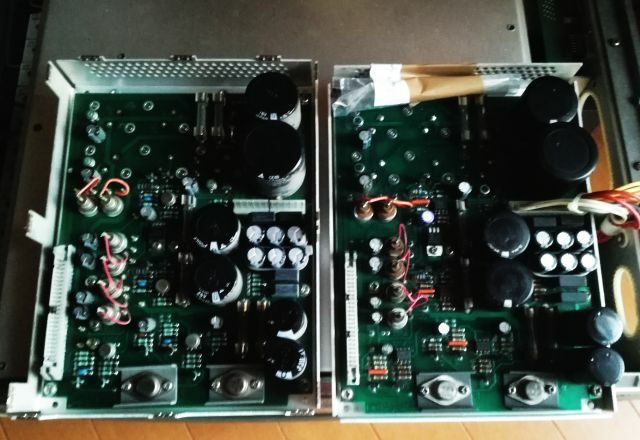 There are some (expensive) HP test fixtures, but essentially, you don’t need these because most of the components will need to be tested on some custom boards, or directly soldered to a test connector, to avoid parasitic effects at the frequencies of interest. I just used a set of SMA flange-type connectors. First some standards were fabricated – a short, by applying a generous amount of solder the connector to completely short it, an open, by cutting off the center pin and machining it flat (maybe need to add a cap or other structure later, to avoid any parasitic capacities, for now, during calibration, you just need to keep the hand away (and any other ground planes). 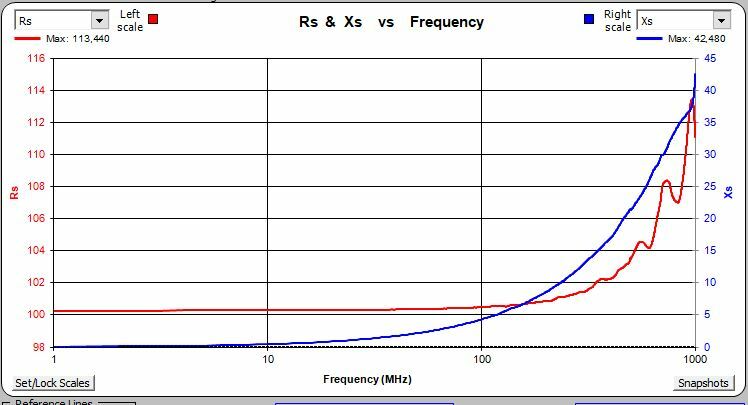 The load 50 Ohms – from two 100 Ohms SMS resistors in parallel. Some test objects, a 680 pF SMD 0805 capacitor (NP0), a 100 Ohm SMD 0805 resistor, and a wired 100 Ohm metal film transistor. The test itself, run with some excellent Excel software (by a certain Harry Percival) and Zplots (by Dan Maguire, AC6LA) via GPIB bus. The 100 Ohm SMD resistor, it has pretty good performance out to 1 GHz. The wired transistor, inductance is adding to the parasitic behavior. 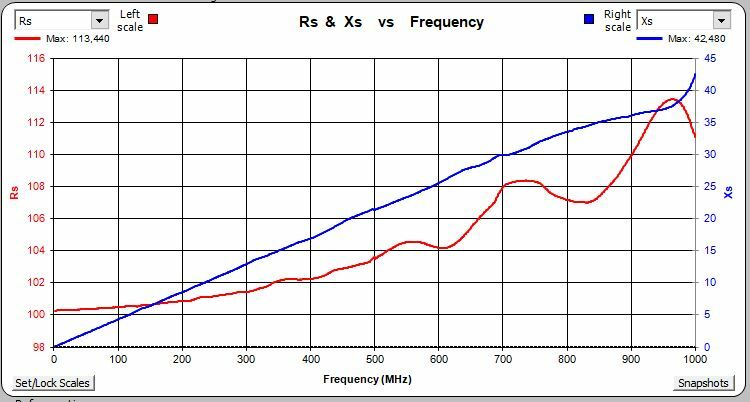 … same in linear frequency scale. Also did some drift checks, over 10 hours (after about 2 hours of warm up), I could not find any detectable drift of the Z values, so the instrument seems very stable at least with reference to the stability of the 50 ohms load measurement. The cap of the mains filter had many small cracks – replaced. For some reasons, the original filter had a Y-rate cap across the mains supply – Y rating is usually for connection from mains to earth. So I replaced it with a X2 rated cap for service parallel to mains. 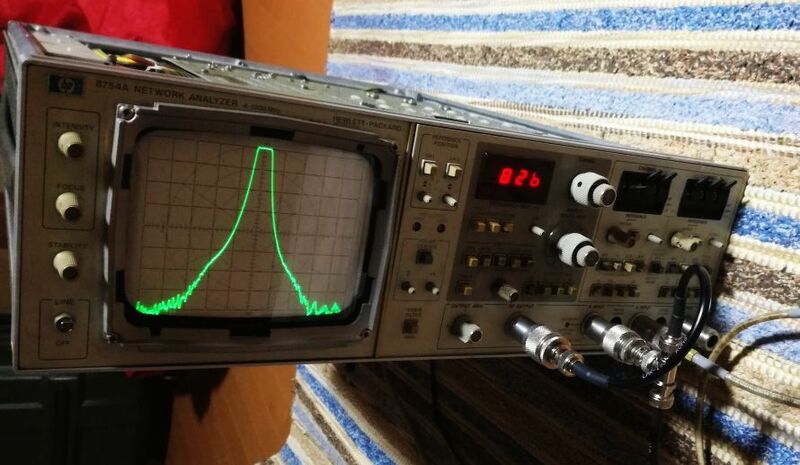 Some tests – the 8754a is a very nice unit, because of its instantaneous response to the dial settings, rather than the delay of any digital network analyzer. Even the most modern of all units still don’t such a direct feel compared to the fully-analog 8754a.